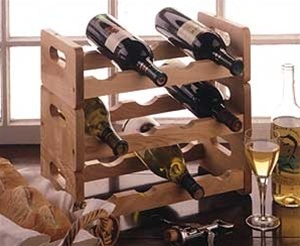 The Stackable Rack with scalloped crossbars holds up to 4 bottles of wine. Our hardwood rack is handsomely finished with a rich and protective natural lacquer. Shown as a 3 units (sold separately).